Unique designs have made Volvo a popular alternative to other more expensive luxury cars without sacrificing quality in performance and in safety. Understanding what your Volvo needs is what’s made Foreign Automotive Ontario’s choice for service and repairs for years. Our experienced staff of mechanics has the proper tools and equipment to get everything from routine maintenance to full repairs done faster and more efficiently than the competition. These problems can occur in any model but we often find them happening in these model Volvos more often. When you choose Foreign Automotive we guarantee to have the problem resolved and repaired quicker so that you can get back on the road with less inconvenience. With years of experience backing us, Foreign Automotive’s staff of friendly mechanics understands the importance of quality service. Preventative maintenance is the best way to ensure long-term performance stays at the high level you expect and that is why we work to make each service appointment for your vehicle as comprehensive as possible. Everything from replacing oil and filters to tire rotations will be handled with expert care, ensuring that no corners are cut and with the utmost attention to detail. These qualities have made Foreign Automotive the number one alternative to the dealerships for Volvo care and maintenance. 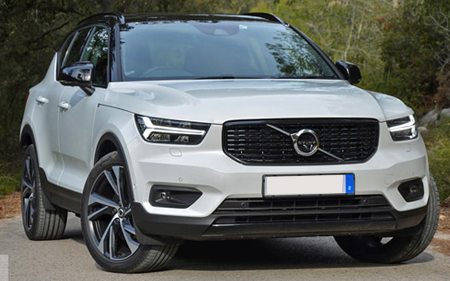 If you are in Cambridge, Waterloo or Kitchener, Ontario and are looking for affordable Volvo service you can trust call Foreign Automotive today. Our friendly staff will help you schedule your next maintenance appointment or repairs fast so you can get back to enjoying your car like it was meant to be. Volvo Repair & Service received 5 stars out of 5 based on 60 reviews on Facebook.